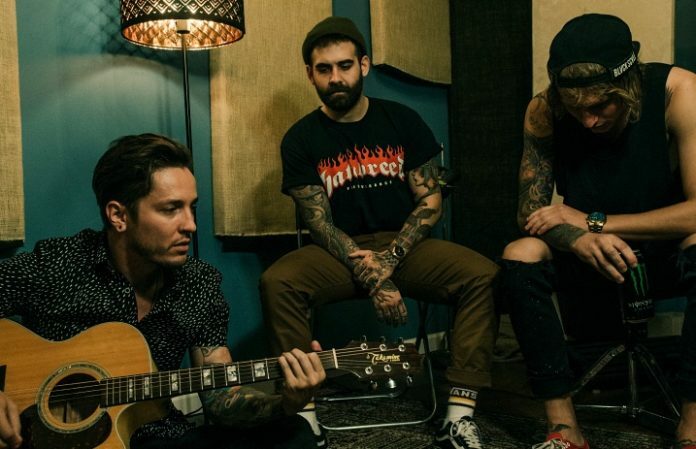 The Word Alive have confirmed that they’re back in the studio working on their fifth LP. “It is our pleasure to be writing you from the studio as we dive into recording our 5th full-length album,” the band shared on Facebook. Read their update in full below. The band released their last album, Dark Matter, in 2016, and they confirm that they have enlisted Matt Good to oversee the recording process of their new album. Plus, this also marks the sixth studio process for Telle, Zack and Tony, the core writers of The Word Alive. And it’s not like they’ll be slowing down anytime soon—the band will be hitting the road this fall with I Prevail, We Came As Romans and Escape The Fate. Check out the full list of cities and dates for that epic tour below. It is our pleasure to be writing you from the studio as we dive into recording our 5th full-length album. If you would have told any of us that nearly 10 years later we would be touring, making new music, and traveling the world we wouldn't have believed you. That has always been our goal and our dream, but you have made it possible. We're very excited about this album, since it is the 1st album we will be recording with a full vision of the future for The Word Alive. We have once again enlisted our friend Matt Good (Dark Matter) to oversee the album recording process. With the amazing cycle we had during Dark Matter, we knew the logical step was to continue forward with what we loved and our fans loved. We are building off of something amazing and we feel we have found a defined sound that will continue to grow throughout the years to come. This also marks the 6th studio process for Zack Tony and I. From day 1 we have pushed each other, and been the core writers of The Word Alive. We have experimented in so many ways, and I'm very grateful to be in a band with such talented musicians and writers who aren't afraid to test the limits of what they can do. It is my pleasure to have seen them grow and bring to the table the new material for what will be our 5th record. I know all of you will want to know what it sounds like, but that day will have to wait. All I hope you're interested in knowing is that we have never been more excited about the future of the band, the material we are writing, or about being in a band together. We currently have 12 songs that have made the cut from over 50 songs. These are the best songs we have ever written, and we can already feel the energy they bring. When I listen to these songs in their infancy, I know the amazing shows to come and how much fun we will have together. It has been through recent changes within the band that we refocused our energy on our friendships and reminded each other what made us want to play music in the 1st place. Being in The Word Alive in 2017 and beyond will have a renewed excitement and passion that you will all undoubtedly witness and hopefully be a part of as we continue to tour tirelessly playing music we love. We will update you throughout the next several weeks on the process of the album, and hope you're ready for the next chapter and evolution of The Word Alive. How excited are you for a new album from the Word Alive? Let us know in the comments below! Previous articleQUIZ: Which Brand New album are you?